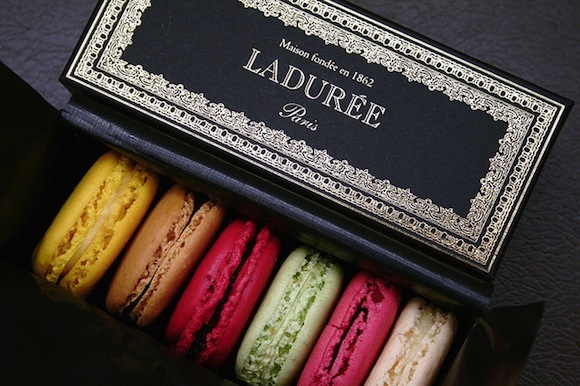 With the arrival of La Duree in New York, the buzz is out that the legendary macaroons….so integral to the Paris experience…are now here…it begs the question: can you taste luxury? Many would say…yes, of course, with all the fancy foods and wines the world over, and, the competition for our attention…its a wonder that this little cookie, has generated so much attention. Have you tasted one? 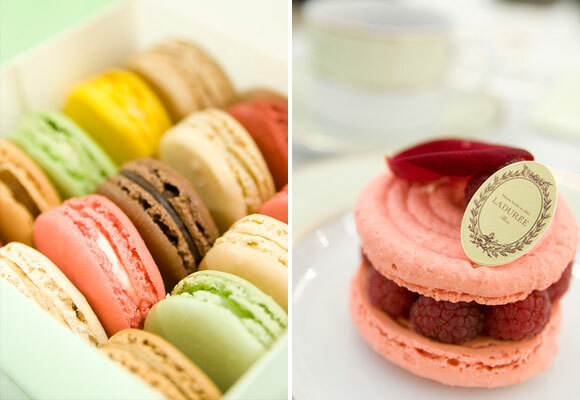 Then, perhaps you’ll understand that its not so much the cookie itself, its the experience of eating the cookie in the little shop, all decorated like your Aunt Margeret’s tea room, complete with that delicate color of pale green….and those little comfortable chairs and cheerful staff. We can only talk about our visit in Paris…which is the blueprint for New York…we’re waiting for the word….will it measure up?